You guys this has been a long time coming, but my first Skillshare class is here! I decided that since I have so many creative artist, maker, and shop owner friends that I would start with a system of mine that has made my email marketing life so much more consistent, creative, and simple! As you know through my podcast with Caroline Hull, Creative Biz Rebellion, we chat about all things running a creative business and we have been going strong for almost three years - holy smokes! However, the teacher in me just wanted to do more for the creative community I love so much so I decided to become a Skillshare teacher! 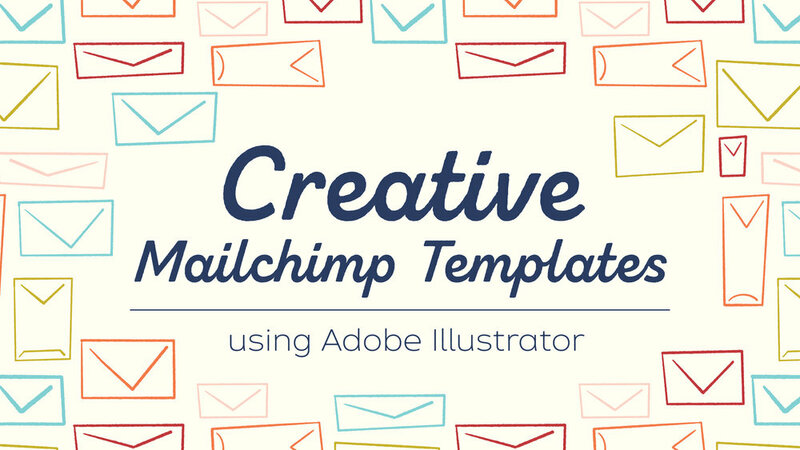 My first class is called Creative Mailchimp Templates and here is a little more about what you can expect! What is the class about? This class will teach you the exact system I use to manipulate the MailChimp drag and drop features with graphics created in Adobe Illustrator to make emails more branded and creative. Not familiar with Illustrator? No problem! The Illustrator tutorials are for beginners if you want to start learning this amazing program, but you can also use a graphics program like Canva or Photoshop if you are more comfortable with those programs. The same concepts will apply! Once you have a template created you can use the set up over and over again to make each time you send email a breeze! Sick of banging your head against a wall trying to come up with new stuff ALL THE TIME?! Yeah, I was too, hence why I use this system! You will also get some email topic ideas for artists, makers, and shop owners, resources, and encouragement to start emailing the people that have signed up for your email list and want to hear from you! I don’t care if it’s only 5 people! Stop ignoring the people who want to see what you are up to! I completely understand wanting to grow your business, but while you are growing do not neglect the people who are already with you and rooting for you! Your revenue will grow when you focus on the people that already love you! What do you need for the class? For this class you will need a free MailChimp account, a graphics program (I will be using Adobe Illustrator for the tutorials, but Canva, Photoshop or something similar will work too). You will also need a willingness to learn and a way to squash that little voice in your head that says you are not ready! Even if you don’t have a list, I cover how to start one! You got this! Sign up for updates on products and super secret downloads and sales! Dylan Mierzwinski (Sidenote: Dylan’s Skillshare classes are amazing! Go check them out! One of my favorites is Illustrating Florals! Plus you can subscribe to her NEW amazing quarterly newsletter The Fancy Swine Quarterly!! Lauren (Becker) Ibach a hand lettering artist from Lauren Ibach. You can sign up to her NEW gorgeous newsletter here! Almost a year ago to the day I was approached by Deane Christiansen of Sweet Bee Designs. She had a new fabric company and was looking for designers who wanted to work with her and grow her new company. I was honored and excited to join a fresh new fabric company who valued design and community so I signed on and this is the first result of that partnership! This is my first fabric collection called Windsor Garden. As I write this I still cannot believe that this day is here! That my own fabric collection is out in the world and that people are going to start sewing with it and making beautiful quilts, bags, pouches, and more! Just check out this pillow my friend made with Windsor Garden fabrics! Isn't it gorgeous!?! Do you want to see more fabulous projects with my Windsor Garden fabric? Of course you do! Well, you are in luck because next week my fabric is going on a blog tour! We have some amazing ladies signed up and I cannot wait to share what they create with you! 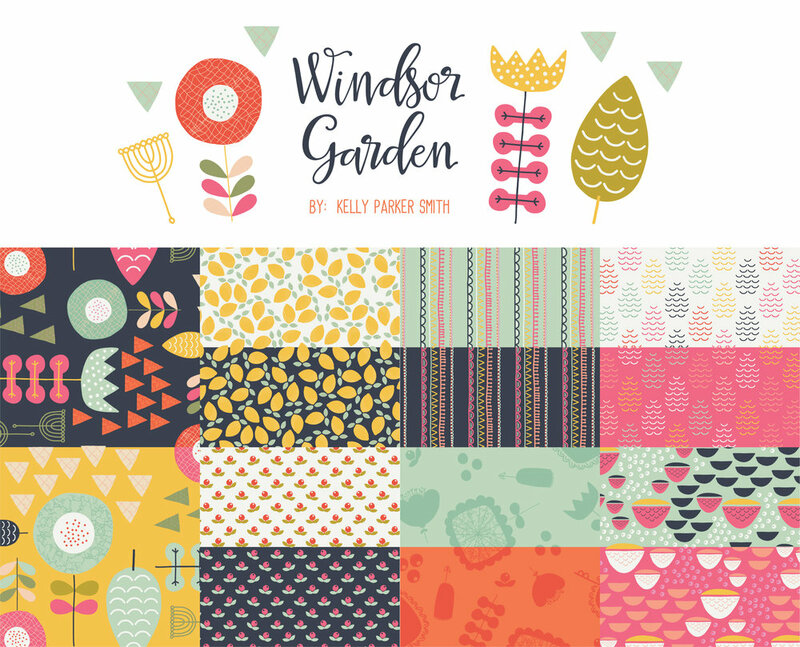 You can follow along on Instagram @kellyparkersmith and with the hashtag #windsorgardenfabric! Here are all the blogs participating! Get excited! OH! THERE WILL ALSO BE SOME GIVEAWAYS! 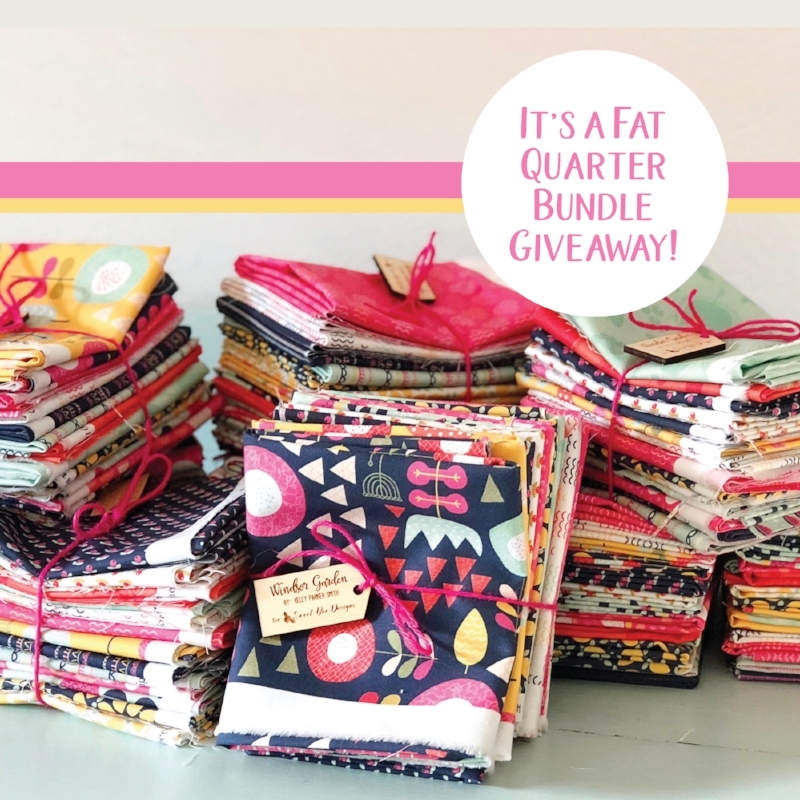 Do you want to win a fat quarter bundle of every fabric in the Windsor Garden collection? Well head over to Instagram and enter the giveaway on Friday June 22nd! PLUS follow along with the blog tour for more giveaways from others participating! I can't wait to see what you create!